DHA is one of the top recommended supplements for pregnant and nursing mothers. Docosahexaenoic acid and eicosapentaenoic acid are the two main beneficial omega-3 fatty acids. They are commonly referred to as DHAs and EPAs. Omega-3 fatty acids are one of the essential fatty acids or EFAs. This means that the body cannot synthesize it and must source it from food. Omega-6 is the other essential fatty acid. However, omega-6 is common and abundant in the typical diet as it is found in most plant oils, seeds and nuts. In the standard American diet, omega-3 is often not eaten in sufficient amounts. For this reason, it is recommended to increase fish consumption or take it in supplement form. DHAs are primarily associated with brain and eye development. Over 90 percent of the omega-3s found in the brain are DHAs. The retina of the eye is also comprised of high amounts of DHAs. Women who are pregnant or nursing are encouraged to increase their intake as it promotes proper cognitive development of the unborn baby. Studies show that motor skills, speech development, attention span and birth weight all showed positive increases in cases where women received adequate doses. EPA also has many benefits including supporting heart, immune system and eye function. 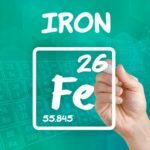 EPA has also been shown to lower inflammation in the body. 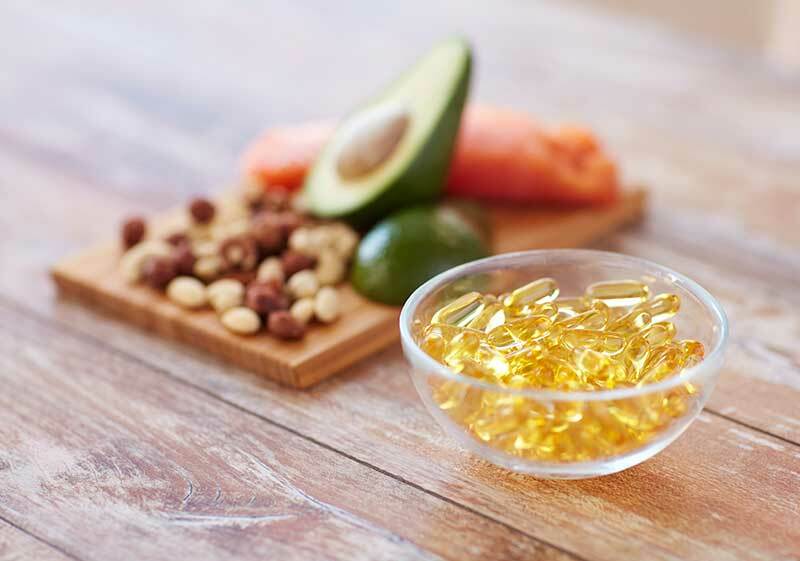 Both of these omega-3s have been shown to help lower triglycerides and balance cholesterol levels. There is no government recommended amount of omega-3. However, 1,000 mg to 3,000 mg of omega-3s are a common dose. Also, 200 to 500 mg of DHA per day is ideal for pregnant or nursing mothers. This can be sourced from eating fish or taking a supplement. The most common sources are cold-water, fatty fish and fish oil. While consuming fish is very healthy and beneficial, mercury levels can be a concern. Typically, larger fish such as swordfish and shark store more mercury. Smaller fishes, like anchovies and sardines, are the safest during pregnancy and are also used in fish oil supplements. Other options include salmon, halibut and tuna. Eating up to 12 ounces of fish per week is generally a safe amount. Varying the type of fish eaten also reduces the risk of mercury build up. Other sources include organ meats, marine algae and DHA-enriched milk and eggs. The body can convert omega-3s from plant-based sources like walnuts, flax seed and leafy greens. However, the conversation rate is not very effective. Sometimes as little as 1 percent is converted. Most studies show that no more than 9 to 15 percent is effectively converted. If you are trying to avoid fish or are vegan or vegetarian, try an algae-based omega-3 supplement. Fish have an abundance of omega-3s because they eat algae and convert it to omega-3. That is why fish are the best source of these fatty acids. It is readily available and requires further no conversion. There are many reasons why it is important to take this form of omega-3 while pregnant and breastfeeding. Developing babies cannot synthesize their own omega-3. They must receive their omega-3s from the mother via placenta absorption and breast milk. Most absorption happens in the third trimester and into the baby’s first year. To ensure sufficient omega-3s are available for the baby, supplementation or increased intake by the mother is needed. 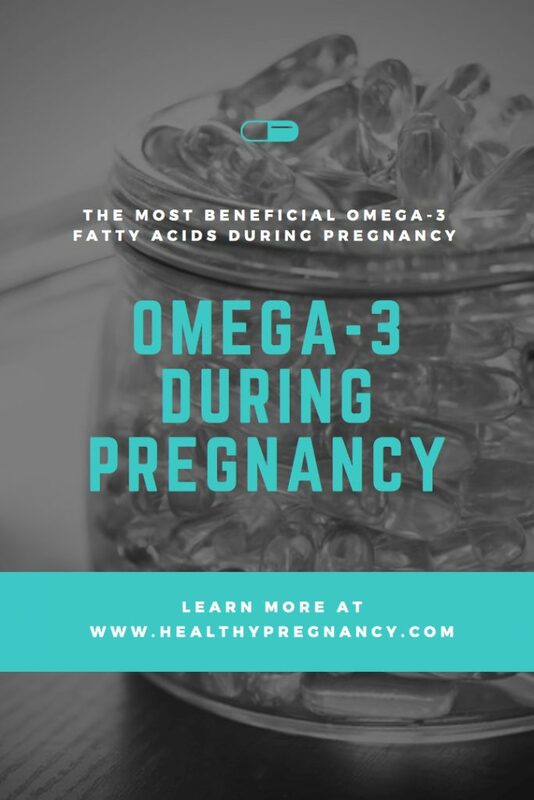 Continuing to take omega-3s after pregnancy and during the breastfeeding stage is very important. Breast milk is naturally high in DHAs; virtually all the stored supply from the mother goes into the breast milk. If the mother does not increase her intake, she will quickly become deficient. This has been shown to be a contributing factor in postpartum depression. Increasing intake during breastfeeding ensures there is adequate availability for both the mother and her baby. This is especially true with subsequent births. Previous Post: « How to Get a Flat Tummy Postpartum; Even After a C-section!